ADHD (attention deficit hyperactivity disorder) is a behavioral condition seen both in children and adults that affects 11% of school children in the US. ADHD symptoms can be observed in preschool age children as early as 3 years old after evaluations according to many researchers. Parents with ADHD children first of all need to realize that ADHD is a deficit rather than a behavior. Focus must be laid on attention rather than performance. For this certain behavioral guidelines should be made to modify the environment in order to focus on child’s strengths and areas of concern. Lack of focus, difficulty following certain directions, forgetfulness and hyperactivity are some of the common symptoms of ADHD. This behavior of your child can be the result of an inability to comply with what is being demanded of them. Teaching children ways to express their frustration constructively can be valuable life lessons and help boosting their self-assurance and confidence. Give them maximum time you can and let them speak as much as they can. Acknowledge their feelings of pain, humiliation and inadequacy. Interpreting your child behavior as intentional and defiant can be destructive. 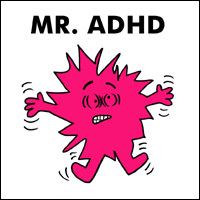 All kids with ADHD are hyperactive and intelligent. Try being consistent yet flexible with your children will help them succeed faster with ADHD. Consistent rules are valuable but flexibility is required around child impairment. Importance of sound communicative cannot be overlooked in ADHD. Develop a healthy and friendly bound with your children. Tell them failures can bring change in their life. A great failure can be the influence that enables us to muster up our courage to take the necessary risks that will lead to positive change. It is observed that many of the children with ADHD seem depressed and lack motivation and surrounded with the fear of expressing their feelings explicitly. However the actual problem is connecting to other. Social skills may also need to be actively taught to these children since they may not naturally absorb them like other children. However it’s also very important to avoid social comparisons as it could leave unhealthy and more depressive effects. Encourage them to learn coping skills which will enable them to combat their obstacles and ultimately help them show their peak performance. This will help a lot to enjoy greater mental stamina. Setting strategies in place that anticipate problems rather reacting to behaviors is a most Effective behavior for home and school. Let the child know what you want them to do. Don’t lecture them. Many children with ADHD are highly intelligent and understands what you are demanding. They might get irritated or lose interest totally. Understanding child behavior is critically important for the parents. Many children have problems with punctuality. Use strategies for organization and time management, such as charts lists agendas, post it, calendars, stick on notes and timers. Children with ADHD don’t misbehave on purpose. They often do their best to be good and not act out intentionally. Cultivate optimism in them and make them realize that world is waiting for them to see their talent and good performance. Actively reviewing the problems with your child and coming up with possible solutions teach an extremely important life skill. It will not only help in getting on with the situation but also aids in finding solutions faster. Victoria Wilson is engaged in mental health studies, at University of California. She has an imperative position in her field. She is married and lives in California, with her two children.